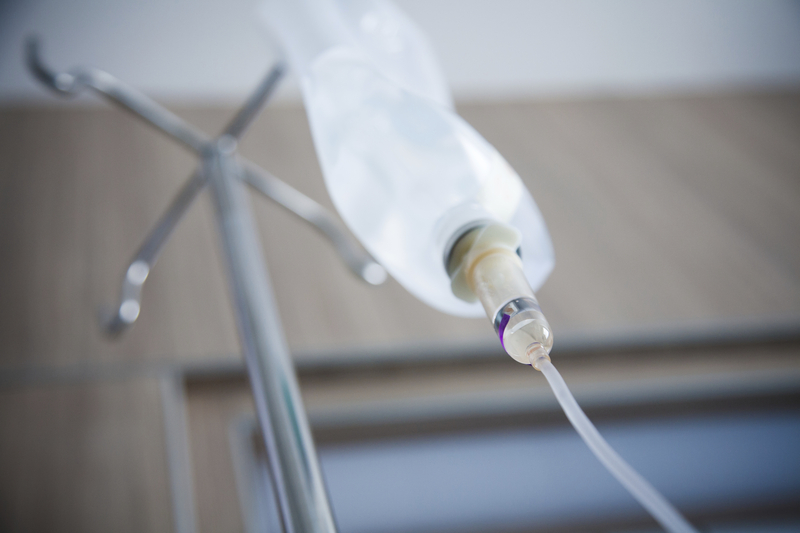 A woman in Russia has died after hospital medics reportedly put a solution containing formaldehyde in her IV instead of saline. According to reports, 27-year-old Ekaterina Fedyaeva was undergoing a routine surgery when she was injected with formalin, which is normally used as part of the embalming process to preserve dead bodies. Russia's state-controlled news agency Tass reported that Fedyaeva died last week after she was mistakenly received formalin at the Central Clinical Medical and Sanitary Unit of Ulyanovsk. Rashid Abdullov, the minister of health, family and social well-being for the Ulyanovsk region, called the incident "a terrible tragedy." "We will provide all the necessary assistance to the family," he wrote on Twitter. "All the guilty officials have already been held accountable, the investigating authorities continue to work." The case has received international attention, making headlines around the world. It has also raised questions about what formaldehyde does to a living body and how often such lethal mistakes might happen. Dr. Robert Glatter, an emergency physician at Lenox Hill Hospital in New York City, explains that if formaldehyde were infused intravenously into a person, "it would lead to a number of deadly effects" including the development of metabolic acidosis, or an excess of acid in the bloodstream. This would be toxic to the body, potentially leading to organ failure and death if not quickly treated. "In a nutshell, formalin is toxic to the cells and tissues in our body, starving them of oxygen, and therefore preventing our organs from carrying out their specific functions," Glatter explained. "Death is almost certain, if infused in a high enough quantity." Doctors could try to treat a person exposed to formalin with kidney dialysis as a way to filter out the toxin. Another option, Glatter said, might be to administer folic acid to help convert formic acid, which is toxic, to carbon dioxide and water, which is easily eliminated by the body. He notes that it is possible to survive an accidental dosage, citing a 2009 case report from Poland of a 33-year-old man who was accidentally given formalin during elective knee surgery and was successfully resuscitated. In this instance, the patient was intubated and underwent dialysis. However, "we don't have enough clinical experience and data regarding what the lethal dose actually is, because it's something that happens rarely, if ever," Glatter said. Hospitals have a number of strict protocols and procedures that are meant to prevent such a medical error from happening in the first place. "One option is to have two people verify a medication before it is ever administered, as is the case when nurses administer blood or blood products," Glatter said. "Another approach is to utilize a bar code system, in which a medication must be scanned and verified before it is ever given."